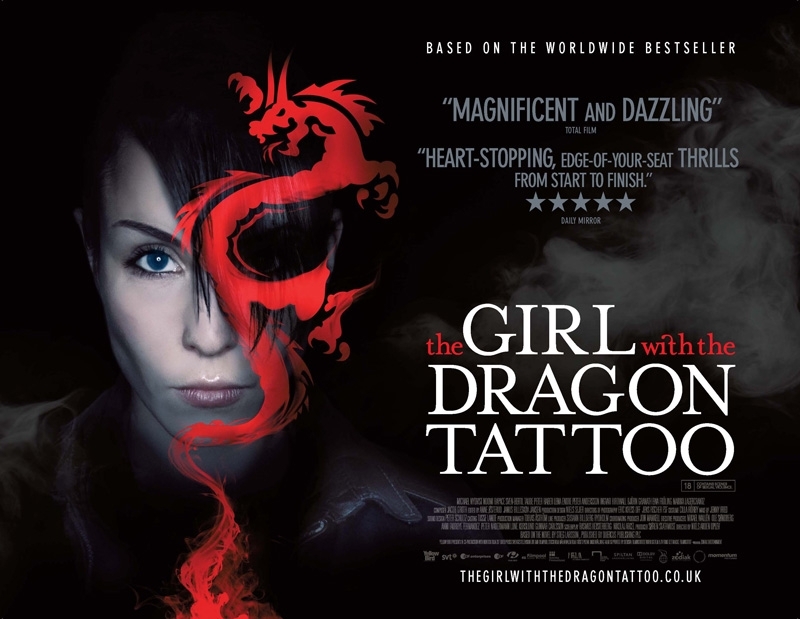 It’s no easy job for a subtitled film to please both critics and audiences but Niels Arden Oplev’s adaptation of Stieg Larsson’s The Girl with the Dragon Tattoo did just that when released in the UK and USA back in 2010. One of the most talked-about foreign exports for some time, Dragon Tattoo was the ideal antithesis to Hollywood gloss as the grimy underbelly of Sweden unleashed a pounding thriller bursting with fallible heroes, corrupt corporations and violence of a deeply unsavoury nature. The plot, on the surface at least, is pretty formulaic. Recently convicted of libel and awaiting a prison sentence, disgraced journalist Mikael Blomkvist (Michael Nyqvist) is hired by aging business mogul Henrik Vanger (Sven-Bertil Taube) to uncover the killer of his niece, a mystery which has already stretched out forty years and that points solely towards a member of his own family. So far, so Agatha Christie. 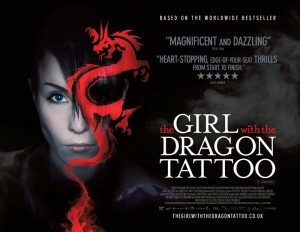 It’s the inclusion of the enigmatic Lisbeth Salander (Noomi Rapace), an intelligent goth computer hacker with severe social issues, as Blomkvist’s assistant that really lifts the story into the echelons. At once an abused victim and a supreme revenge-artist, Salander is a powerful 21st century heroine brought to scintillating life by Rapace in a career-defining performance. Unwavering in its intensity, her portrayal is built upon small gestures, from the arch of a pierced eyebrow to the tensing of shoulders, all of which betray just how haunted and damaged she really is. Her chemistry with Nyquist, reticent in his own endearing way, is what the film hinges upon, forging one of the finest, most unique partnerships in crime cinema. Dragon Tattoo also benefits from its director’s willingness to follow Larsson in the more unpleasant elements of the narrative. Beneath the blindingly white snow and ice that coats the isolate Vanger estate lies a world tainted by darkness. From the shadowy subway tunnels to the grimy interiors of the city buildings, Stockholm is a far cry from the crisp Scandinavian landscape but both, majestically captured by cinematographer Eric Kress, are equally terrifying, harbouring monsters that threaten to break out at any moment. The original title for the novel was ‘Men Who Hate Women’; it doesn’t take a genius to realise that the real villain of the piece is misogyny. There’s a thin line between moralisation and exploitation but Oplev just about keeps it under control. The sexual violence is graphic and near unwatchable but it has purpose. You almost feel guilty for blinking. It’s not a flawless film by any stretch of the imagination. At 150 minutes, it’s a little too long to be called taut. Some of the breakthroughs that Blomkvist and Salander have are handled a tad clumsily, risking the undermining of both actors’ subtle performances with contrived dialogue. Yet, the film remains a compelling examination of sexual and social politics, as fraught as its hero and full of the fire of its inked and pierced heroine. 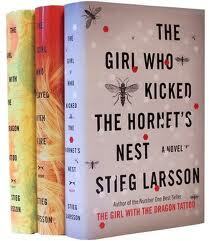 A tense noir for the digital age, The Girl with the Dragon Tattoo is more than worthy of the hype.